If a tree on your property is looking less than its best, you may be unsure of whether it has a tree disease or not. Having a property full of beautiful trees has numerous benefits and is a wonderful thing, but only when each and every tree is healthy. If a tree on your property is looking less than its best, you may be unsure of whether it has a tree disease or not. Read on for some common signs of tree disease, and to learn what you can do to prevent them and care for your trees. If the leaves of a tree have orange, gold, or red spots, it has leaf rust. While this does not kill a tree, it can make it weaker as it interferes with photosynthesis, or how plants feed from sunlight. Each plant species can get this rust and has a ust species specific to it. This can infest leaves and twigs, leaving dry and distorted leaves and a fungal powder residue. Leaf rust rarely harms a tree and doesn’t require control measures. In the fall, simply remove these leaves. This tree disease makes a tree look as if a portion of it has burned by fire. It flourishes in warm moist weather and is spread by rain, bees, and infected pruning tools. 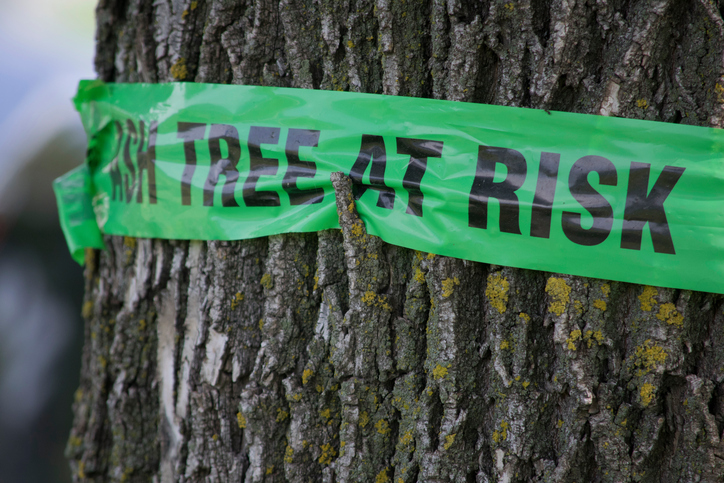 For this reason, when you notice a tree is infected by fire blight, it is important to prune out infected branches. Cut a foot beyond any discoloration and destroy the infected tree branches. Then disinfect your pruning tools before using them again. During highly humid and cloudy weather this white coating can form on leaf surfaces. This can distort leaves and cause them to turn red or yellow and drop to the ground. If you notice this tree disease in your property plant mildew resistant trees and shrubs. Several fungicides are also available. 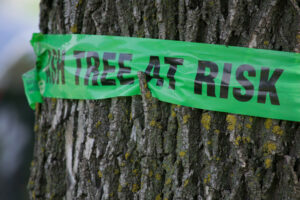 Do You Think Your Tree Might Have A Tree Disease? Atlantic Maintenance Group can help! This entry was posted on Wednesday, August 10th, 2016	at 4:38 pm	and is filed under Blog, Tree Care	. You can follow any responses to this entry through the RSS 2.0	feed. Both comments and pings are currently closed.